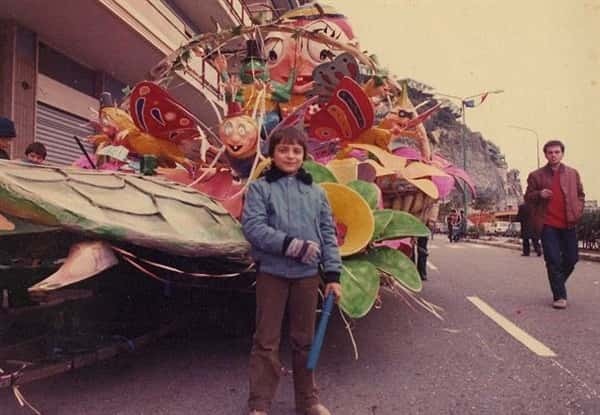 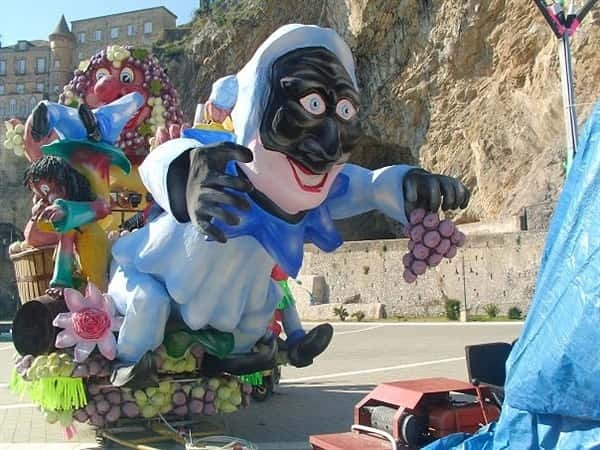 Since the last years of 1960's, the Great Carnival in Maiori, created by the initiative of some young locals, has become in short time one of the most awaited events on the Amalfi coast. 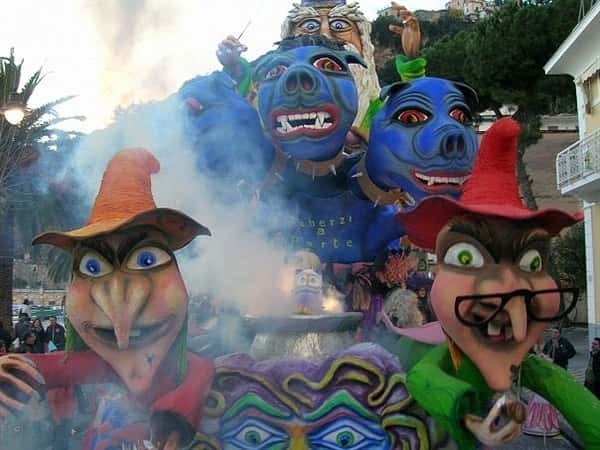 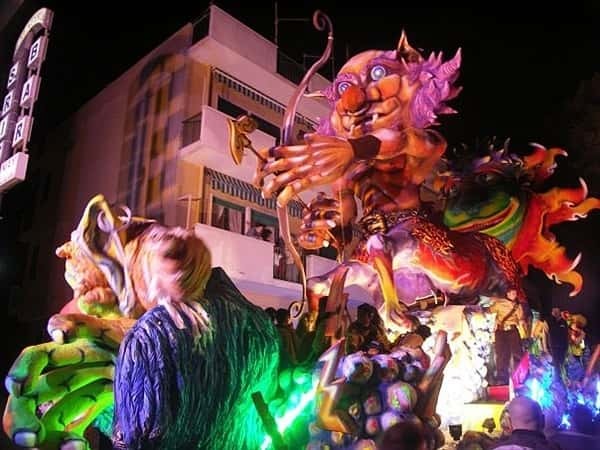 For about ten days every year, the streets of this charming coastal town are invaded by clouds of confetti, masks, floats and dancing groups, in a dizzying succession of music, traditional games, shows, jokes and entertainment. 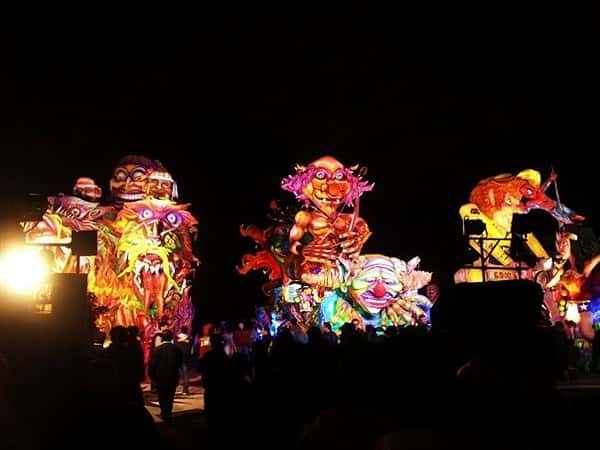 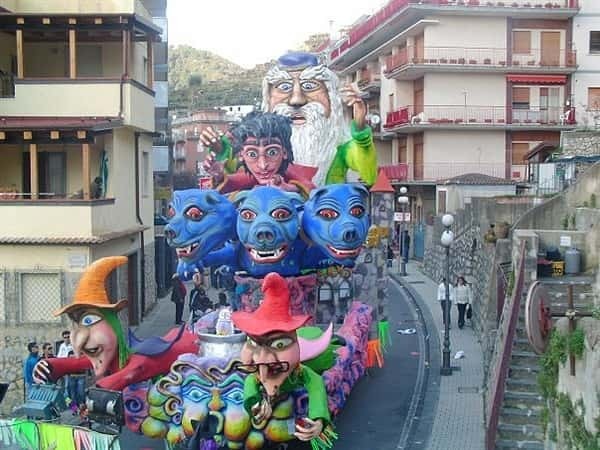 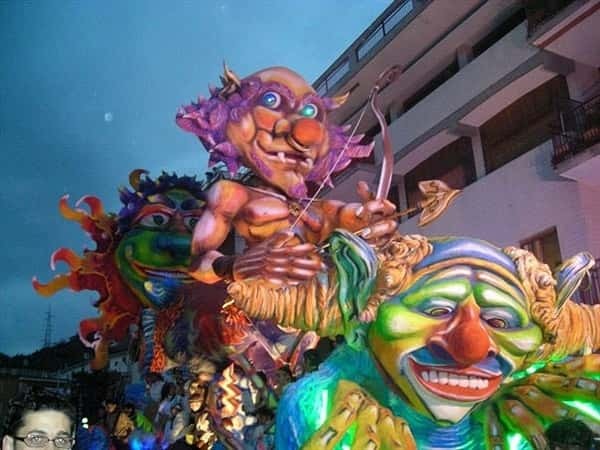 For about three months every Carnival group hardly work to realise floats, each one representing a particular theme (social, political or fantastic one), shaping steel cables, creating movements for the characters, light and/or sound effects, painting the paper-pulp with bright colours. 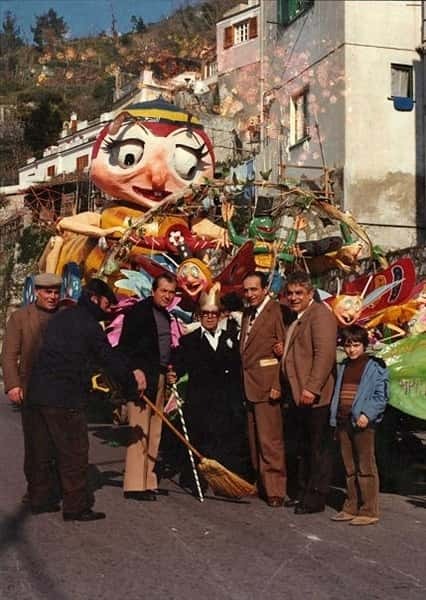 This is a form of art that young people have learned from those ones who created the Maiori's Great Carnival during the last years of 1960's and have, in turn, to hand down. 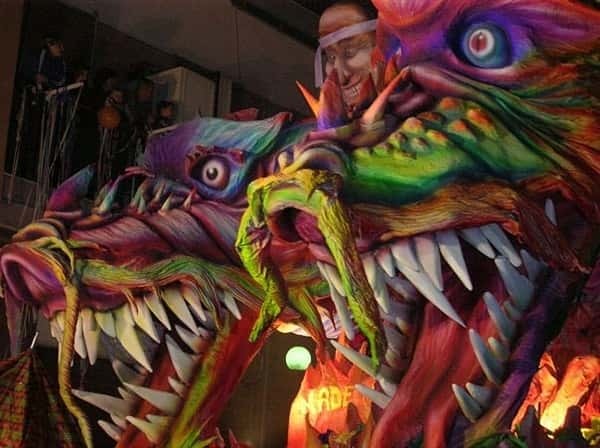 This form of popular art is known all over the world today and allows starting points for thoughts on the represented themes. 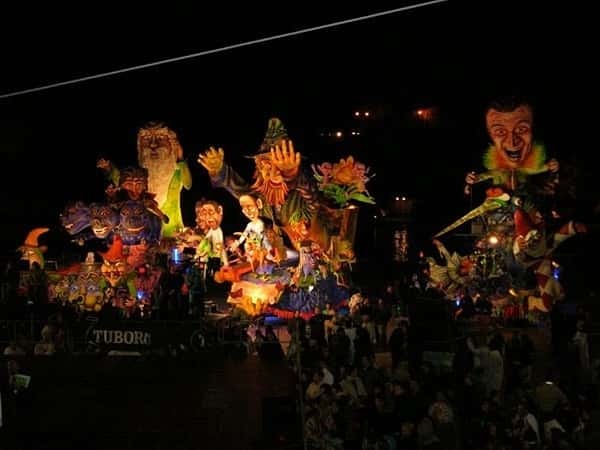 The parade of both the floats and the dancing groups starts from Vecite (hamlet of the town of Maiori where the floats are usually realised) and continues along the State road (Via Nuova Chiunzi) arriving close to the Norman Tower. 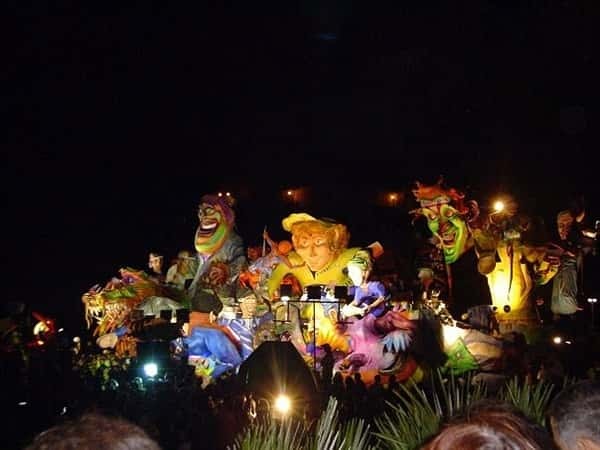 From here, once passed through the seafront, the festive parade ends in the charming scenery of the touristic port of Maiori.